Last summer, the Swedish Lapland Tourism Board invited me to travel through the country’s northern-most province and I leapt at the chance to visit. My family history starts in Sweden and my grandparents emigrated to the U.S. in the early 1990s. I’d always wanted to see more of the country that produced our family tree but nothing could prepare me for the breathtaking landscape and heritage I uncovered. The Swedish Lapland’s 48,000 square miles are composed of serene lakes, sharp mountain peaks, and rivers chock-full of fish. The Lapland is also home to the native Sami people. This tribe is the only indigenous people of Scandinavia. They live in the Arctic area of Sápmi, which includes parts of northern Norway and Sweden. If there was ever any question as to where I inherited my love of fishing, the answer was found in watching the Sami fish along the Lapland’s coastal regions. 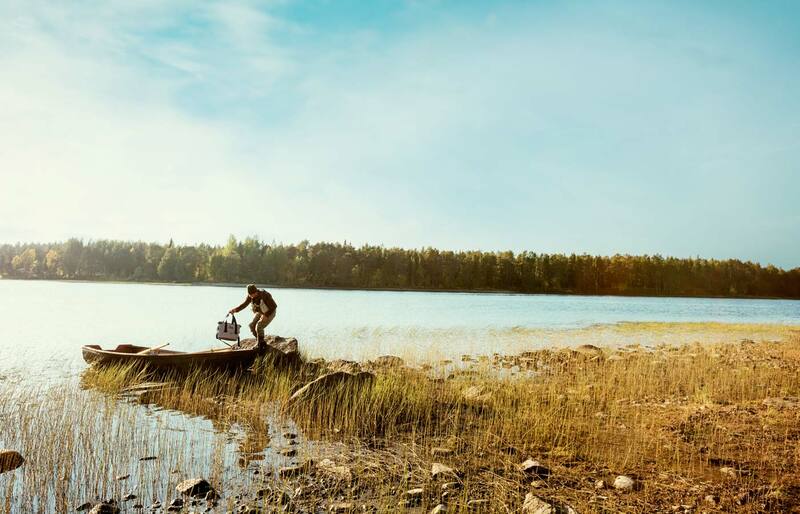 The Sami are obsessed with fishing – it’s in their DNA just like it is in mine. During my time with the Sami, I was able to visit a 90-year-old historic fishing club, named the Västerbottens Sportfiske Klubb, which is located on the Juktån in Sorsele. The outlines of large fish that had been caught by these people over the years decorated the walls of the Klubb, each bearing the mark of the fishers who had come before me. In that moment, I was transported back in time to when the Sami and generations of older Swedes lived unobstructed by contemporary trappings and freely celebrated the simple things, like a fresh catch. Kårsvagge, not far off from the Kungsleden trail in the Abisko mountain range. Leftovers from 10,000-year-old glacier melting. The reindeer Bulmmot, found at Nutti Sámi Siida in Jukkasjärvi. View from the northwest corner of Torneträsk, Scandinavia’s largest mountain lake. Hauling a traditional Swedish boat in Sorsele. Catching a laugh between rowing on the Vindeälven. Into the abyss on a foggy day in early September. 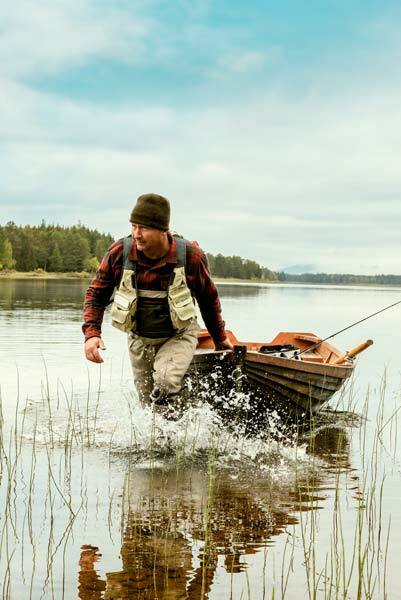 Sorsele och Ammarnäs, some of Europe’s best fly-fishing. Ego knocked down a couple pegs after meeting a skunk headlong. Time stands still in the Klubb. Invited by the Swedish Lapland Tourism Board, Andy Anderson travels through the country’s northern-most province.